The Big Four: How have they prepared for the Australian open? First grand slam of the year. 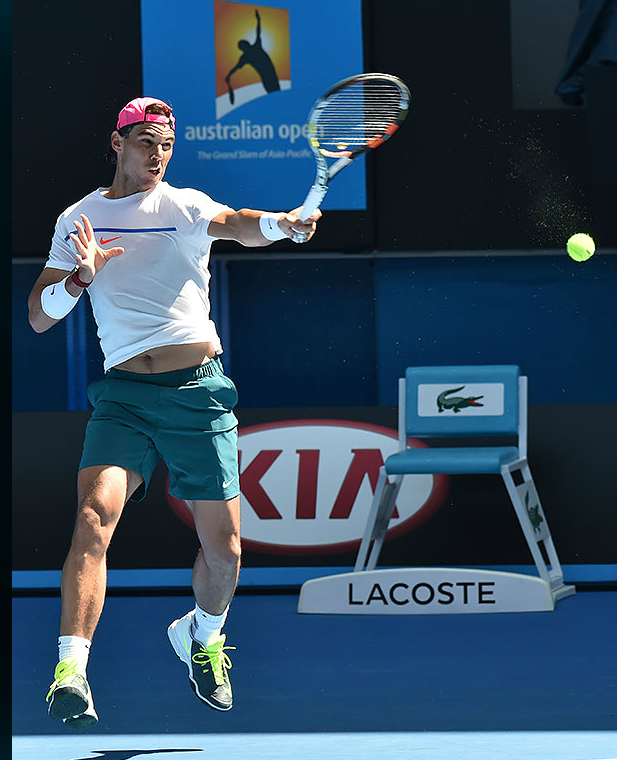 How did each of Djokovic, Federer, Nadal and Murray prepare for the Aussie Open? Very interesting times for Andy Murray. Is he crossing the bridge that will bring him back to success i.e grand slams glory? Murray fought very hard at the end of the 2014 season to get into the top 8 and participate to the World Tour Finals. When he arrived there, he was exhausted. And lost very badly to Federer 6-0, 6-1. Then he went on to play the International Premiere Tennis League (IPTL). Then he went back to Miami to practice in his off-season. “We’ve chatted at the end of the year. It was quite clear we had completely different views on how we should be doing things and who I should be working with”. NDLR-Mauresmo has joined Murray’s coaching team since June 2014. Andy Murray had a good start of the season 2015, destroying Nadal 6-2 6-0 in Abu Dhabi’s exhibition. Will he finally go back to his 2012-2013 form and win his first grand slam since Wimbledon 2013? He has been struggling with injuries of all sorts, from wrist to back to appendicitis. But he said he has been training very hard since December 10th. However, he admits he lacks match practice, reminding he played a very few matches for the last seven months. That’s not very good for his confidence. He lost to Murray in Abu Dhabi’s exhibition, then to a qualifier in the first round of Doha. Not very good. However, he won the doubles in Doha along his friend Juan Monaco. WIll he be ready to be back on the winning route in a grand slam at the Aussie? Djokovic had an excellent end of season 2014. Having a baby, then winning Paris and World Tour Finals. He then went into his off-season time, briefly interrupted by his ITP league participation. He then went to Abu Dhabi, reaching the final then withdrawing due to a flue, before losing in the quarters of Doha to big server Karlovic. Not the ideal preparation, as he complained in the pre-Aussie interview about flue, stomach, cold illness he suffered due to a virus from his Middle-East trip. But he says he’s ready. Wouldn’t be surprising if he is. Dramatic end of season 2014 for Fed. Went into an “argument” with Wawrinka, pulled out of World Tour Finals due to “injury”, played Davis Cup a couple of days later and won it. Went back to Dubai. Travelled to play the ITP league beginning of December. Played a match for Africa with Wawrinka for charity in Zurich. Went back to training. Played Brisbane in Australia in 2015. Won the 1000th match of his career there. Played a match on the boat with Hewitt. Each one on a boat. No wonder he says he needs a break after the AO, in February, while the season hasn’t even kicked off properly yet. January 18, 2015 in Sports.